The Route 66 bridge over the Meramec River is a rusted skeleton. On the other end is where the town of Times Beach used to be. 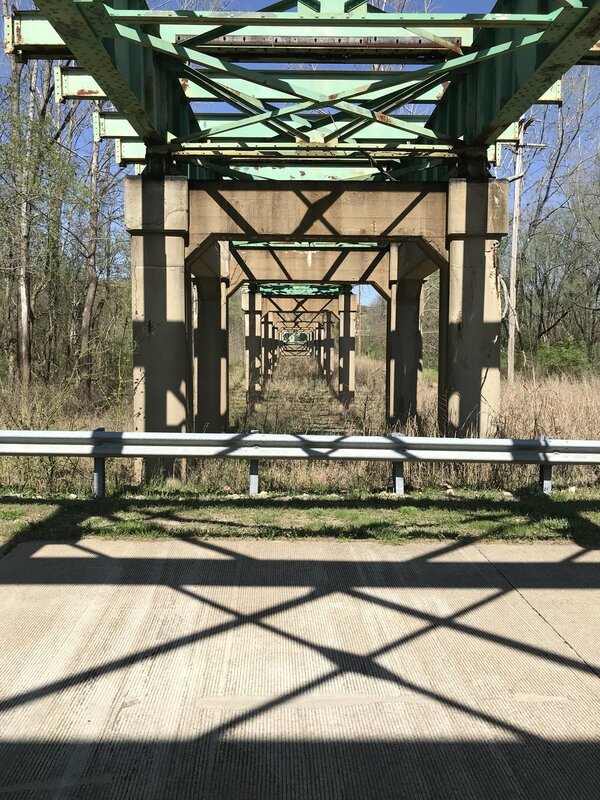 The Route 66 bridge crossing the Meramec River west of St. Louis, seen from the Times Beach side. A vintage postcard shows the route of the now-defunct Route 66. Souvenirs of the old Route 66 on display at the new Route 66 State Park in Missouri. Times Beach - first a resort, then a town, now disappeared - started out as a newspaper circulation promotion. The visitor center at Route 66 State Park includes a small display on Times Beach, which brochures call "an environmental success story."